So I have a few things to talk about with this post. First of all, I've finally made it back to one of the original Star Wars movies: Return of the Jedi (1983). So clearly that has to be number 1 on this list. 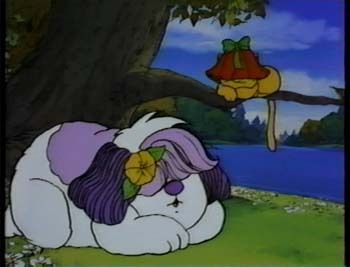 But I was obsessed with The NeverEnding Story as a kid (ask my brother, it drove him crazy, lol! ), and it came out in 1984. 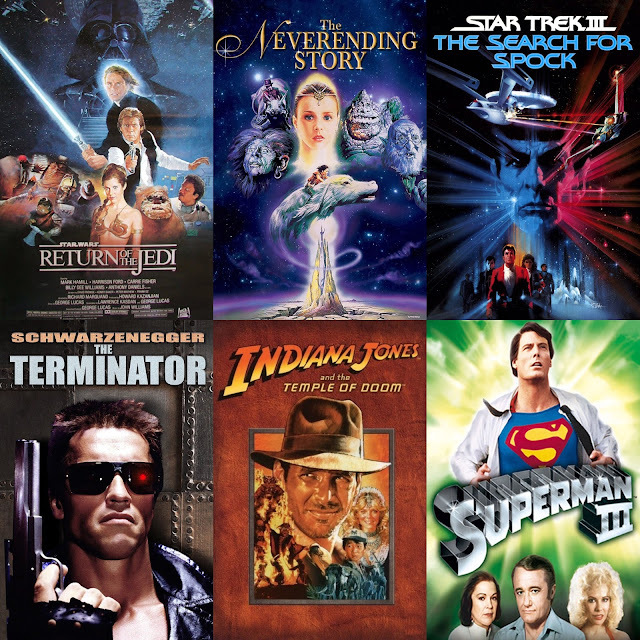 So it would be #1 from 84, but it gets edged out by Star Wars with the years combined. I was surprised at how low The Terminator was on the list of highest-grossing films from 1984. It was #21. The Tom Hanks mermaid movie (Splash) landed at #10! What? 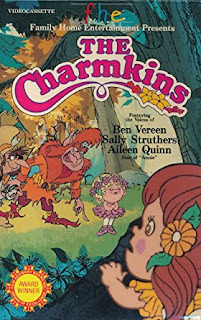 "Brown-Eyed Susan and the other Charmkin children of Charmland go on a quest to rescue Lady Slipper after she is kidnapped by Evil Dragonweed and whisked off to Thistledown to dance for him and his goons." Supergirl (84) - I know, I know, it's not a good movie. But I love all things related to the Superman universe so I want to watch it anyway. Dune (84) - I need to read the book first, but after that, is this film worth watching?